Amanda and Erik Niel have helped put Chattanooga’s dining scene on the map. The owners of Easy Bistro & Bar in Chattanooga, Tenn., are used to feeding a crowd. 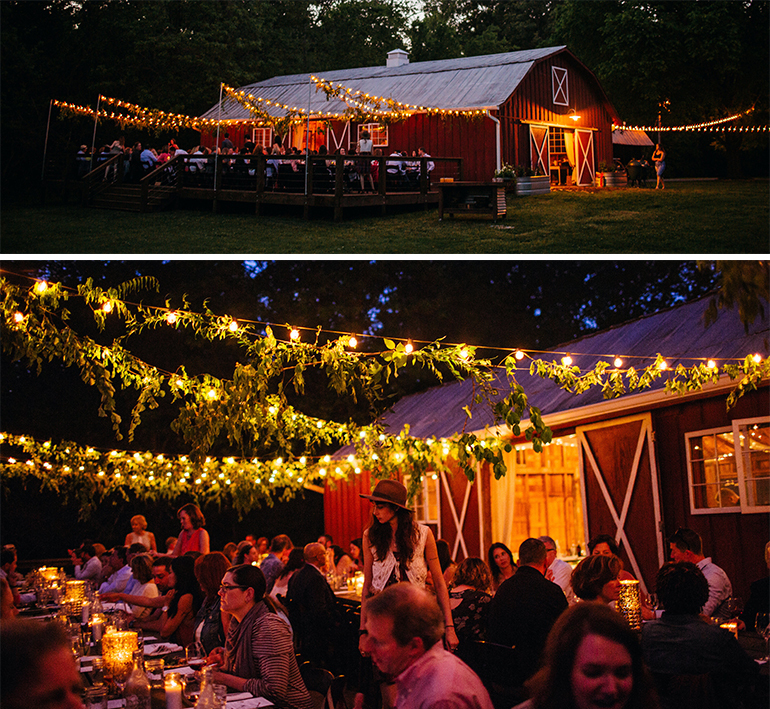 But four times a year, the couple takes the crowd to dine high on a mountain, for example, or beside a picturesque restored barn under a canopy of oak trees donned in twinkling lights. What started as Erik and Amanda Niel’s desire to shine more light on Chattanooga’s food scene, has blossomed into a sold-out quarterly event that gathers guest chefs, local culinary talent and 150 self-proclaimed foodies. 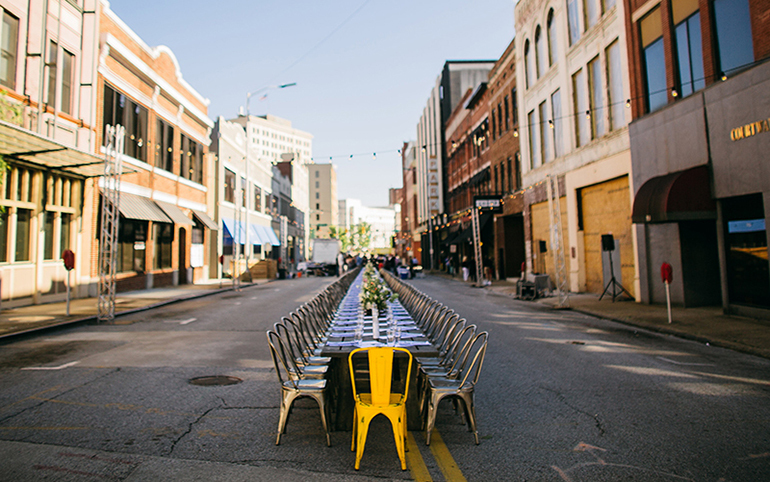 The Niels started Scenic City Supper Club in 2015. “We began the suppers because we wanted to highlight local artisans and farmers in the Chattanooga area,” said Amanda Niel. The Homemade Southern Supper with Daniel Lindley at the Everlee Farm. The Niels spearheaded a meeting among local chefs to get the ball rolling where all agreed that if the city did well, they would do well. “We wanted to remove competition from the equation,” said Amanda Niel. In the years since that first supper, the Niels have helped to cultivate camaraderie within the local restaurant community, built lasting relationships with local and visiting chefs, and forged new connections with guests in their own restaurants. Each Scenic City Supper Club event features an hour-long hors d’oeuvres course and a four-course dinner, which Erik, the chef at Easy Bistro and the couple’s second concept Main Street Meats, helps to plan. In January, for example, the dinner was held in the recently renovated Turnbull Building, which is on the National Register of Historic Places, and included Rob McDaniel of the restaurant SpringHouse in Alexander City, Ala., as guest chef. 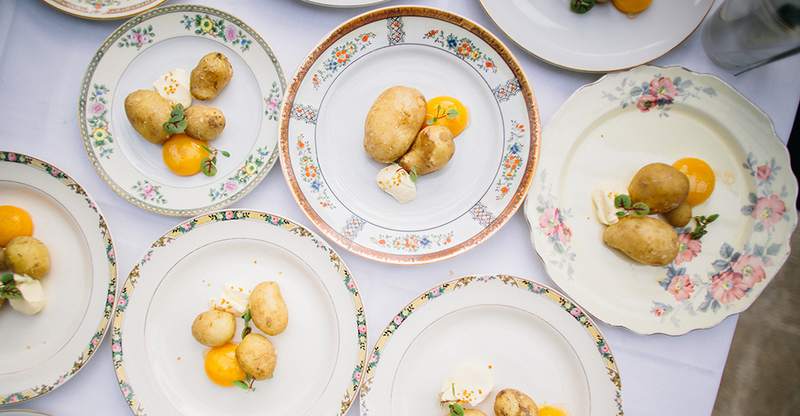 Amanda Niel designs each event to stand out from the others, basing décor choices on the type of food that will be served, the location and the season. 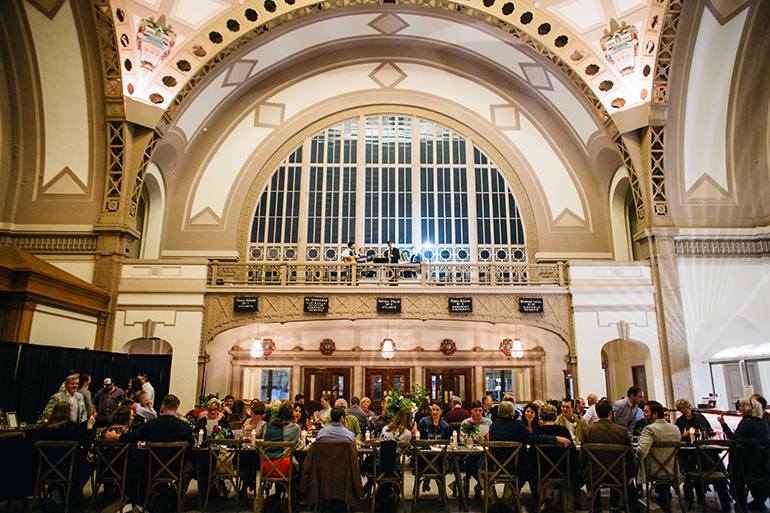 Dinner Under The Dome with Matt Bolus at the Chattanooga Choo Choo Hotel. When the Niels are choosing locations, they take into consideration the beauty of the city as well as logistical concerns. In photos, beautifully adorned tables atop green mountains may appear to come together seamlessly, but Amanda Niel said logistics become very important when you don’t have access to electricity or a kitchen. “There has to be a place for a generator or a fire,” she said. 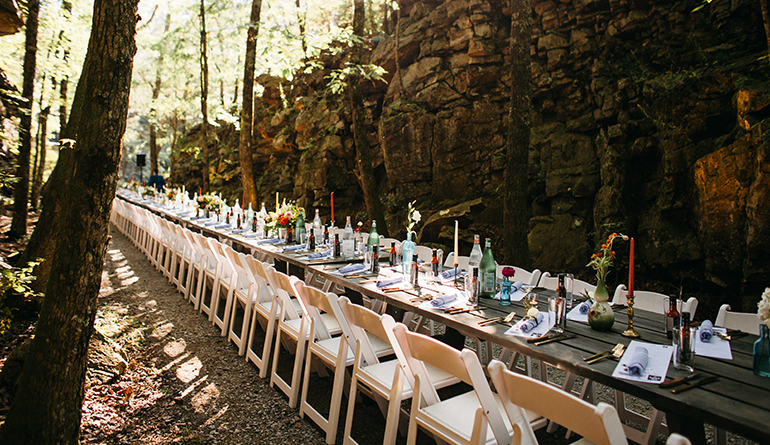 Safety also needs to be addressed when hosting an outdoor supper. The Lula Lake Summer Social with David Bancroft. Location and logistics plays into the fluctuating ticket prices as well, with the lowest being $65 and the highest being $195, according to Amanda Niel. “If we need to bring in generators, the ticket price is going to go up,” she said. The suppers began with a group of 50 guests and now include up to 150. “When we first started, we offered 50 tickets and it sold out in 30 seconds; we were kind of blown away,” said Amanda Niel. The next time, 75 tickets sold out in four minutes; then 90 tickets sold out in six minutes. Now the Niels have capped the event at 150 guests. “We don’t want to have to hire security or lose the intimate feel,” said Amanda Niel. Depending on location and menu offerings, business costs can vary for the events that require months of planning and four days of on-site set up. On average, Amanda Niel said that about $15,000 is spent on planning, organizing and pulling off an event. Party in the Passageways with Adam Evans at Urban Chandelier and Garden Grass Passageways. When collaborating with private land owners on a location, Amanda Niel said ticket proceeds are split with the owners. Other locations, however, such as new event venues, are sometimes donated if the owners are interested in coming on board as a sponsor or partner. The chefs who participate in the events donate their time, but the Niels cover all food product costs and provide access to event photos for individual marketing. A partnership deal with local media company Nooga.com in the early stages of development has saved the Niels valuable marketing dollars over the years. “We wanted a local media partner that would attend the dinners and write about them, so we reached out to Nooga.com who became our sponsor and partner,” said Amanda Niel. The events are not a huge money maker, but Amanda Niel said they break even. Beeswax Poached Little Potatoes served during the Tennessee Summer Supper at the Tennessee Stillhouse.